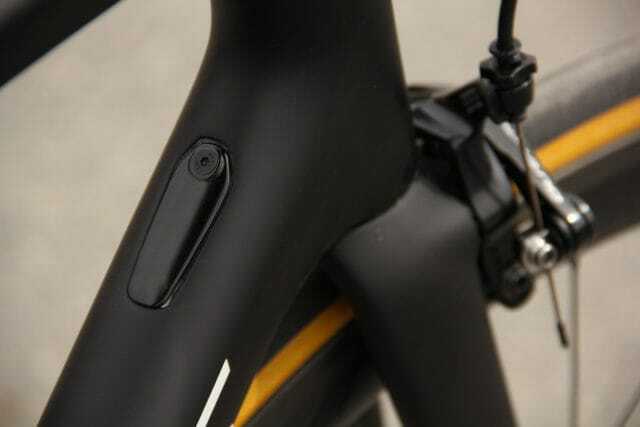 The 2018 Specialized Tarmac Has Its Own Power Meter! 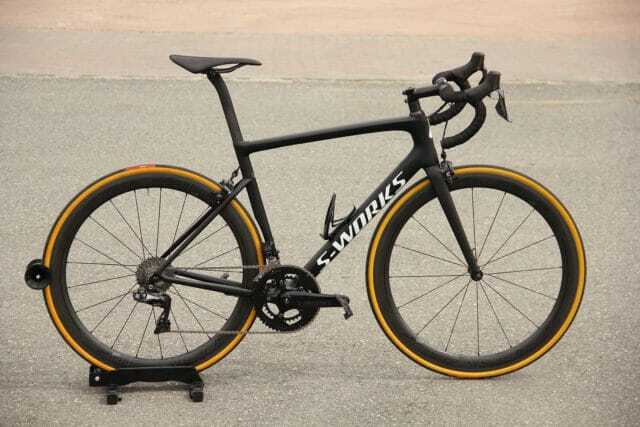 SA EXCLUSIVE: The 2018 Specialized Tarmac gets lighter carbon, aero geometry and an in-house power meter. The all-new Tarmac’s biggest attribute hinges around the notion of lightness. To achieve this, everything from its paint to its carbon construction were carefully measured so as not to add any unnecessary grams. The result is a bike that’s 200g lighter than its predecessor. In fact, a 56cm frame tips the scales at a mere 733g! Much of its feather-lightness stems from cutting-edge carbon layering techniques as suggested and supervised by McLaren Applied Technologies. Yip – McLaren. Seat stay/seat tube junction now lower down the seat tube, making it stiffer for better acceleration. Ah yes – aerodynamics. The Tarmac not only underwent 6 months of rigorous wind-tunnel testing, it also benefits from 6 years worth of in-house aero knowledge. Structurally, the most notable changes take place at the back where dropped seat stays, a wheel cut out and an aero-style seat tube and seat post do duty – undoubtedly drip-down technology from the Shiv TT, Venge ViAS and Roubaix. 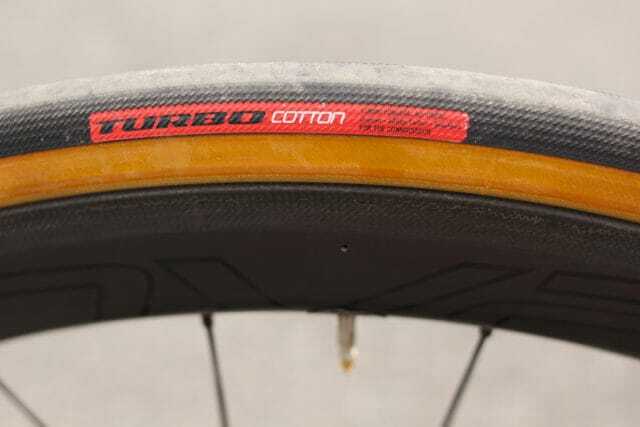 The fork too was designed to be as efficient as possible and, as such, is available in three different aero-tuned sizes: 44-52cm, 54-56cm and 58-64cm. Frame-wise, seven sizes are available offering a more tailoured experience and better individual fit for both men and women. 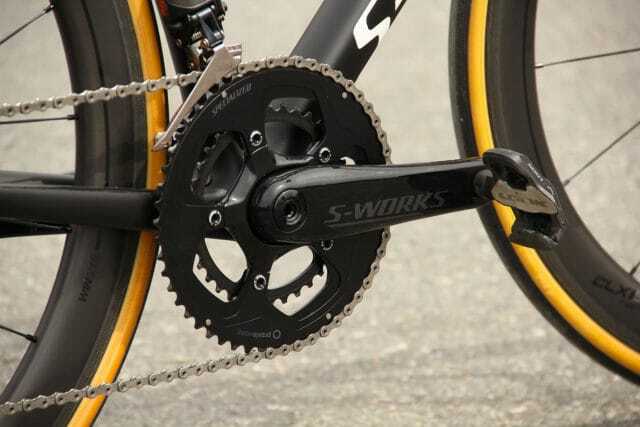 The introduction of a power meter (similar positioning to a Stages) on both crank arms. 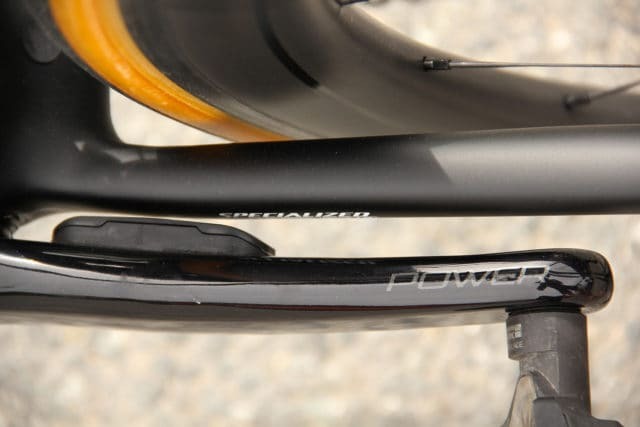 Specialized is putting a lot of effort into bringing power meters to all its S-Works bikes. Stiffer frame for better power transfer and handling. 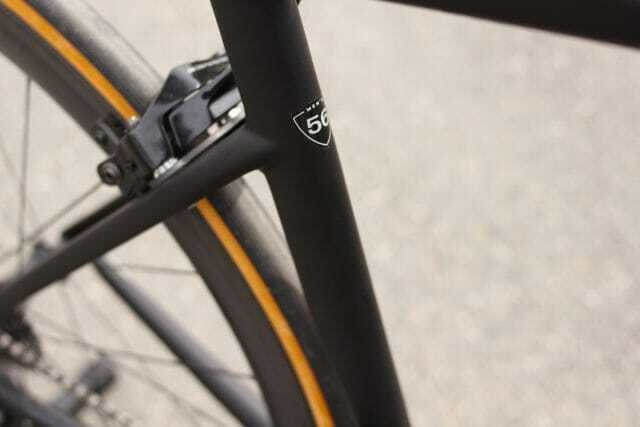 Disc and rim brake versions will be available.